We are glad you can join us here at Texan Flight. Feel free to look around. Any questions, please don't hesitate to give us a call or send an email. In the words from one of our many happy customers here at Texan Flight! Hello and I want to thank you for giving me a memory that will stay with me the rest of my life. 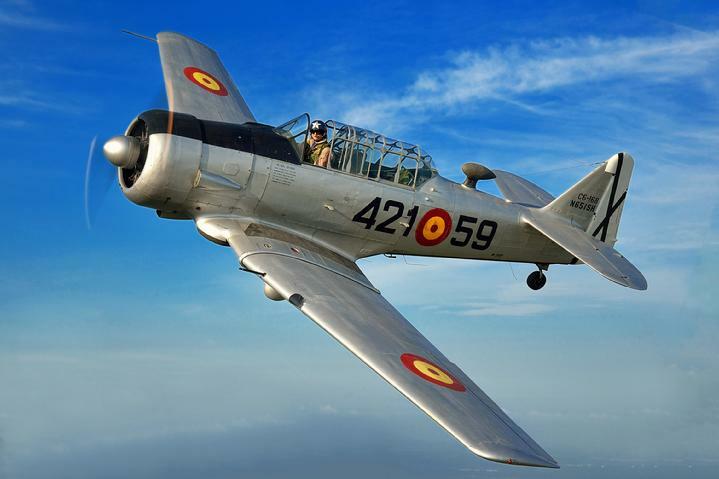 The 30 minute ride in the WWII Warbird became more than I had ever expected and this is not just a plane ride, it is an adventure beyond words and an investment one can give to themselves for a lifetime of reflection and remembrance. I am looking forward to seeing you next year at the Sun N' Fun Fly In to again take a ride to the unknown of excitement and thrill that comes from riding, rolling and looping while being guided through these exercises by a capable experienced confident and very polite pilot. The ground crew was also very responsive and polite to deal with while signing up for the ride. I want to tell anyone who reads this to definitely take a chance and spend the time to experience a ride in this plane. Even this many weeks later I think about going up in this plane and smile as I relive the joy that came to me. Thank you ALL for continuing to bring to the public the ability to find, feel and see what flying is all about!! As you might have guessed we really like T-6 Texans around here. We like flying. We like talking about flying. 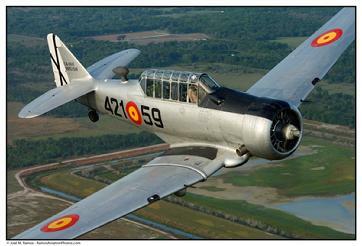 But, most of all we like sharing the thrill of riding in a real T-6 Texan. Be sure to check back often for the latest comings and goings of "Dulcinea"! We try to update our pages with our latest adventures and the new friends we make in the aviation community. If you have any questions, give us a call at (713-305-8072) or send an email to sheree@texanflight.com.